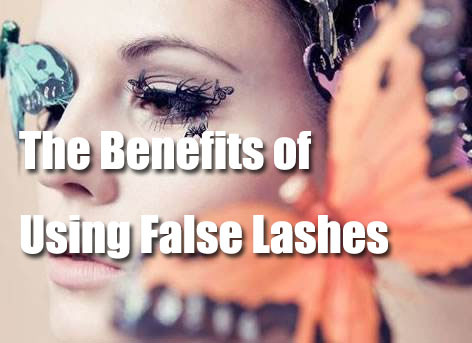 What should I pay attention to when using false eyelashes? In case you are blessed with smaller eyes and would like to go for an elongated appearance, it would be prudent to opt for eyelashes which are thicker in the outer corner so as to add length as well as lift. If your eyes are wide set or do not have any crease, apply the eyelashes in the center of your eyes. This will help to open up the eye effectively. Otherwise, you can employ longer eyelash strips which will help to lengthen your eyes in case they are deep-set. Make it a point to size the lashes according to your eyes in case you’re using a strip, and then they must be trimmed down using cuticle scissors. It is extremely difficult to maneuver any strip which is excessively long. Always bear in mind that practice makes you perfect! At first, squeeze some amount of adhesive on your hand’s back and gently dab on the glue to your lash using a cuticle stick. After waiting for approximately 20 seconds so that the glue becomes sticky, apply the strip on your eye’s outer edge very carefully. It is important to ensure that the angle of the false lashes is identical to that of your own eyelashes. Blend properly using one or two layers of mascara. 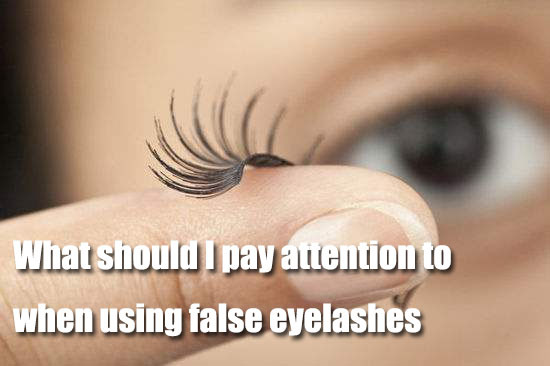 While using these fake eyelashes, you must also know the method of taking them off correctly. In most cases, individuals make a blunder by using their fingers for pulling the lashes. However, they must not do this since they might also lose a portion of their actual lashes in the process. Instead of pulling the lashes with the fingers, you should employ a fake eyelash remover and apply them on the lash line using a cotton swab. After that, the eyelashes should be pulled off meticulously by holding them from the outer end once the lash line becomes soft. Otherwise, you can also use a makeup remover instead of a fake eyelash remover. 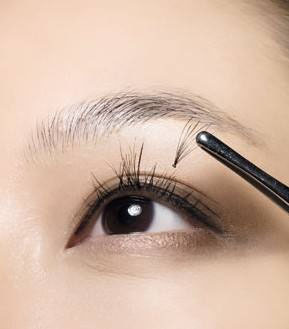 After removing the false eyelashes, do not forget to apply some remover once again so as to discard the glue. Finally, remember to wash and clean your eyes using a branded makeup remover. Applying and removing the eyelashes properly is not going to be enough and it is essential to store and maintain them correctly as well. After every usage, make it a point to clean the fake eyelashes comprehensively and then store them in the original container so as to make them last longer. Avoid using them too frequently, and they should only be saved for the special occasions. This is because excessive usage of eyelashes can result in eye problems including infection, irritation, and so on. Separator image Posted in Lashes and tagged with how to using false eyelashes. © Brighter Your Eyes – Proudly powered by WordPress - Silk Lite Theme by PixelGrade.